Saltwater Taffy! Yeah, it was all over Cannon Beach. And I did not partake. 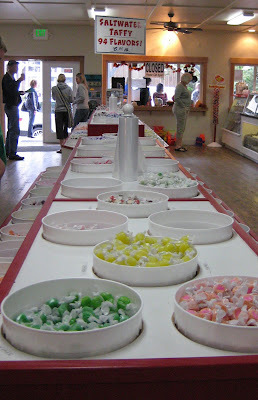 After all, there’s pretty darn good taffy on the east coast. Does this look familiar? Yes, the Goonies! 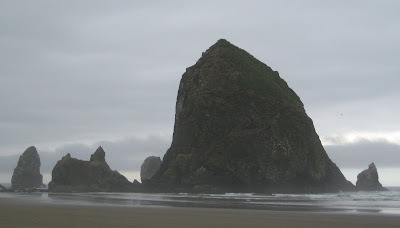 Cannon Beach’s Haystack Rock. That’s enough 80’s movie trivia for the day.